When Kevin Cheng (郑嘉颖) turned down filming Bu Bu Jing Xin 2 <步步驚心>, fans were extremely disappointed. He had cited that he will be filming a new drama and unable to participate in the highly anticipated sequel. Kevin’s new drama will be an adaptation of Tang Qi Gong Zi’s (唐七公子) Hua Xu Yin (华胥引), in which Kevin will portray the male lead, Mu Yan (苏慕). The drama will also see the reunion of Kevin with Bu Bu Jing Xin’s <步步惊心> thirteenth prince, Yuan Hong (袁弘). The lead role of the princess will be played by Chinese actress, Jiang Xin (蒋欣). It is estimated that the drama will take 2 months of filming. Chinese novelist, Tang Qi Gong Zi is famed for his fantasy romance novels, spinning the tales of love in mythical ancient times. It is no surprise then that there have been film and drama adaptations of his novels as his prose has won him a large fan base. When characters stills of the drama adaptation for Hua Xu Yin were leaked, criticisms came in fast and furious from Tang Qi Gong Zi’s fans. There were fans who were disappointed that the styling of the characters were conspicuously wrong, pinpointing even the hairstyles. There were also those who were dismayed at the choice of cast, particularly, Kevin Cheng as the suave and outstanding Mu Yan. Hua Xu Yin tells the story of a princess of a fallen kingdom who died to show her loyalty to her kingdom. An immortal resurrected her with the help of the Aqua Tear Pearl. She utilizes the power from the Pearl to help create dreams for people in exchange for their lives. In each dream, a story is spun. Every story ends up tragically and therein lies the heartbreaking beauty of the novel. Filming studios have often adapted their dramas from best-selling Chinese novels. Though the riveting story lines and existing fans are a huge draw, producers are also walking on tight ropes as not all the stories can smoothly transition into television adaptations. Deviations from the original works will no doubt upset the most loyal fans. Aside from Tang Qi Gong Zi’s Hua Xu Yin and Three Lives Three Worlds, Ten Miles Peach Blossoms <三生三世，十里桃花>, Tong Hua’s (桐华) works have also been widely used, such as the highly successful Bu Bu Jing Xin, Da Mo Yao <大漠謠>, and Best Time <最美的時光>. Recently, writer Xin Yi Wu’s (辛夷坞) ‘s So Young <致我们终将逝去的青春> was also aired onscreen. Highlights: Tong Hua’s name itself is a selling point. On top of that, this is a modern romance story which should resonate well with the viewers. In the story, an office lady decides to work for her crush so that she can get closer to him. Over 30 episodes, the drama will also touch on the ups and downs of the white collar workers. There will also be some exciting moments in the drama as conspiracies and and commercial wars come into play. However, the drama is promoted as a comedy so it may be a light-hearted attempt at office politics. Highlights: This is not the first adaptation of Bao Jingjing’s (鲍鲸鲸) internet novel. In 2011, director Teng Huatao’s (滕华涛) Love Is Not Blind movie was a huge hit, so much so that he has decided to use a different cast for the television series adaptation. If not for anything else, viewers will tune in to see how the two adaptations compare to each other. Highlights: Based on Xin Yi Wu’s novel, So Young is Vicki Zhao’s (趙薇) directorial debut. Famed Hong Kong director, Stanley Kwan (关锦鹏) codirects while renowned Chinese scriptwriter Li Qiangqin (李樯亲) pens the script. When the cast list was announced, fans of the novel gave their unanimous approval. The posters also received positive comments. For some movie critics, this is the most highly-anticipated Chinese movie in 2013. Highlights: Another Tong Hua adaptation. This is an ancient romance story based in the Han dynasty. It revolves around the adventures of a girl who was raised by wolves in the desert but was later brought back to her tribe. In the midst of palace scheming and political changes, she was entangled in a love triangle. When the posters were leaked, fans were delighted at how accurate the characters were depicted, which only makes this television series even more highly anticipated. Highlights: The romance novel had touched the hearts of many readers. Taiwanese director, Chen Ming Zhang (陈铭章) was the name behind several television hits. The pairing of the charismatic Godfrey and newcomer Jiao Junyan is at the same time, refreshing and something to look forward to. The trailers have already received much rave reviews. Which series are you referring to?? The plot is the MOST important thing in any series and there is way more to a series than just the cast anyways. I have seen many series with not a great cast but good story and can still finish and enjoy it. However, I find it hard to sustain through a series with a good cast but bad plot/story. The plot/story is like a skeleton that carries you through a series or else it would just drag regardless of how great of a cast there is. Well if you don’t like ‘ruined’, let’s just say it won’t be as good as it could/ought to be. Again, in my opinion. Maybe the cast dun really fit the chacs in the novel. I’m reading this novel and honesty, I can’t imagine how KC and Yuen Hong will fit these chacs. Nothing but their faces can’t be 18 and 20! Yuen Hong probably but not KC. They all look awesome, don’t know what people are complaining about. Obviously you don’t know the storyline to understand what people are complaining about. Kevin Cheng is heavily photoshopped in those pics and looks weird. Well imagine someone in their 40s trying to portray teenagers/early 20s. It’s just not right. Kevin Cheng is casted into this series because he is popular in china now, not because he is the best candidate to play a teenager/early 20s. That’s true but I was not talking about age wise. Many just go for the cast that they like and that’s it. I do agree that it is strange for Kevin to play characters since he is in his 40s now,however, at least he still looks good for his age. Plus, disguising someone to look younger or older is the magic of make up, lighting and other things. Although Kevin looks great as a 40 year old, there’s no make up or lighting to cover the fact that he’s in his 40s. He could pass as someone in his 30s, but not as a teenager/20s. I mean no disrespect to Kevin but he looks much older than Yuan Hong. But the storyline is, they are similar in age. Read Li Chuan Wang Shi, Da Mo Yao and part of Hua Xu Yin. Love all these Chinese novels. Hope it turns out nice but I gotta admit that Kevin Cheng is slightly too old and he looks really like a ‘transversite’ here. Neither he nor Yuan Hong quite have the face for the older period pieces. When I think of gentlemen from that era, I think of Lu Yi. I think they have the faces for ancient series, but it is the costumes and hair that don’t make them look so great. But they look fine in other series. Kevin looks weird with this kind of costumes, he looks much better in modern style. has anyone know when Kevin Ip man TV series will be on TV or internet? Tang Qi is indeed a woman.Her English name is Vivien. The above pic of kevin cheng looks heavily photoshop. 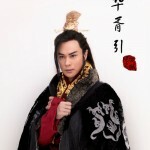 Yuan Hong, good looking and good actor, love him in Yang Jia jiang as Ye lu xie, plus yang kang in LOCH. I’m more excited to see Yuan Hong’s acting than Kevin Cheng. Well, in many cases, the original novel is better than many adaptions. The story is Hua Xu Yin or The City of Devastated Love and the series is an adaptation. However, it seems that it is quite different from the original story. There are 4 stories in all plus the main characters, Kevin(Mu Yen) and Ye Zhen(Lin Yuan). Yuan Hong and Jiang Xin play opposite each other as one of the other couples. Seems very interesting to me, no matter, and I think that Kevin looks quite different, the way they have made him up. He looks younger and I do think all will turn out well. Yes, he does look like one of those “drawn characters”, manga? that makes him look cute. Should have said that my info comes from Koalasplayground. Wow! This has become a trend already. After the success of BBJX, people started to adapt novels into TV shows. 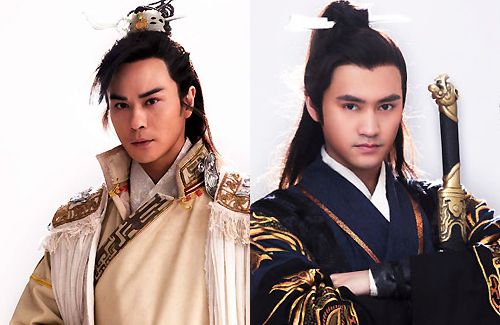 I think casting Jiang Xin to play Jun Fu character is a right choice. You forgot JTTW, Water Margin, ROTK, etc etc. It has been the trend, except now is more towards internet novels. 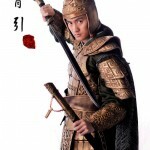 Jiang Xin is not playing Jun Fu. She will play Song Ning. 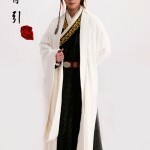 Yuan Hong will be Shen An. Lin Yuan will play Jun Fu. 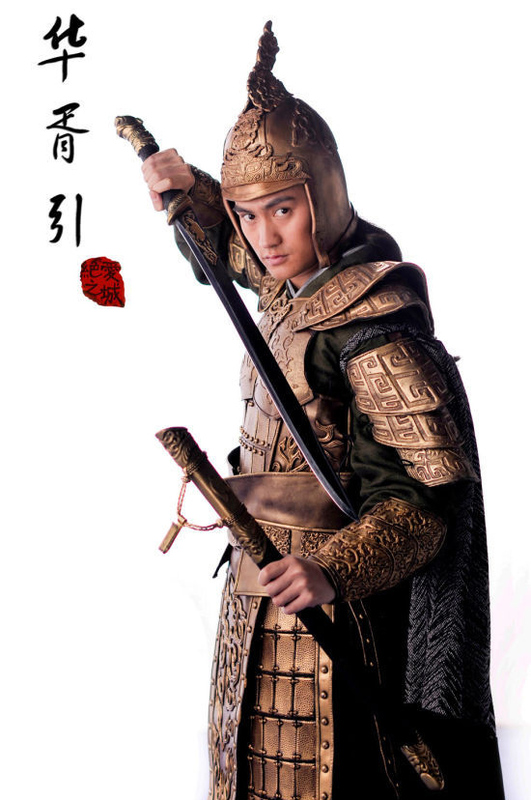 I’m not sure whether Jiang Xin will be playing Jun Fu or not. However, according to this article, it says ” The lead role of the princess will be played by Chinese actress, Jiang Xin (蒋欣).” So I guess Jiang Xin will be playing Jun Fu character. I am excited about Jiang Xin. If she is who I think she is, she is a fantastic actress, beautiful as well but a bit mature looking. I am however fearful about all the CGIs. But the poster’s costumes look impressive. As for the to be released series, Do Ma Yao is my most anticipated although I heard they haven’t got the broadcasting rights yet. I’ve always thought Kevin looked awkward in ancient series except BBJX type. He didn’t have the ancient look in his past TVB series (DD, BTROC, etc.) The above photo makes him look cartoon-ish. 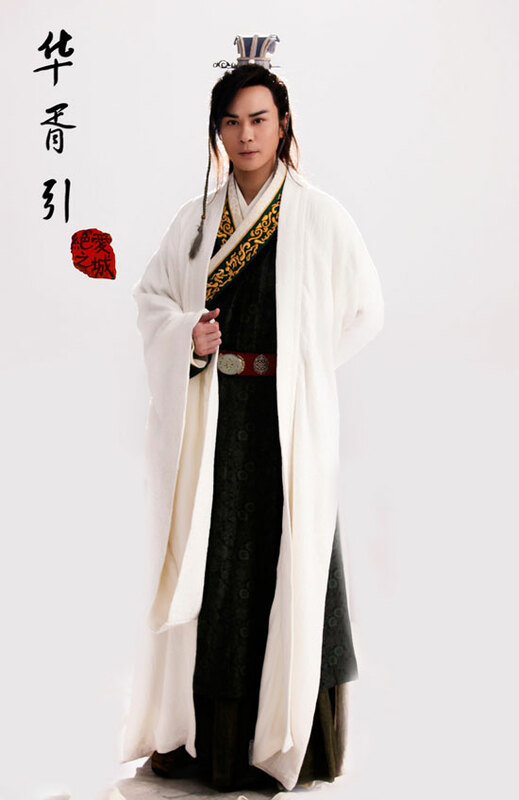 I think he looks ok in ancient series, like in 天地传说之鱼美人, except for the horrible hat in that show. Probably TVB’s fault for the hair styles. Why start criticising when they haven’t even started shooting. Many ‘series fans’ go for their favourite actors/actresses even tho the script/storyline does not live up to expectation and naturally these fans still score 20 out of 10 for their idols. On the otherhand, once in a while you get perfect cast/perfect script/perfect storyline like BBJX and we score them 30 out of 10. Occasionally we get good script/storyline, etc but mediocre cast and the series can still be enjoyable. KC and YH look odd because they’ve been photoshopped…..certainly not by their choice, so go complain to the PR people. I’m very certain KC and YH both haven’t gone thro plastic surgery. I have not seen Jiang Xin in a long time so it is great to see her again!! Kevin Cheng playing someone who’s barely out of his teens? ROTFL!!!! With all the makeup required to make him “looks” the role, he has ended up looking like an ancient Chinese lady-boy. When you photoshop a pic, it’s suppose to make a person looks better, younger thinner, whatever…. what happened here? Kevin Cheng dont even look like himself!!!! Like a puff-up ,not so handsome guy!!! http://ww4.sinaimg.cn/bmiddle/70e120a9tw1e25kdxqkf3j.jpg here they are in the press conference and I can tell why they shouldn’t act 18-20. They are all over the ages.